40% Off - All of our Mirrors including Ornate Mirrosa are on Sale NOW until Friday April 19, 2019! 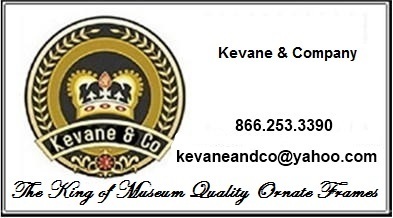 Kevane & Company has scowered the world to find the best possible value in all of ourOrnate Mirrors. These will be simply spectacular for your home or business! ALL of our Ornate Mirrors are discounted 40% EVERY DAY OF THE YEAR! This makes Kevane and Company the best place on earth to find high quality ornate mirrors for your upscale home, business or set design. At Kevane & Company you will find a full line of extraordinary ornate mirrors. Each and every one of our ornate mirrors featured here has been selected for its unique and superior quality and value. Please come back to this page often as we are ever expanding our selection of "ornate picture frames". All of our Mirrors are measured from the INSIDE of the. This means that to derived the outside dimensions you must add two times the moulding width to each dimension. In other words, please order your Ornate Picture Frames by size of the art that will go in your Frames. 40% Off - All Wall Picture Frames including Ornate Frames are on Sale NOW until Friday April 19, 2019!